Mirjana graduated from the College of St. Benedict/ St.John’s University (Minnesota/USA) with a degree in Management and Leadership in Organizations in 2009. From August 2011, she has been living in Finland, where she enrolled in a Master’s Program in International Business at the University of Vaasa. In June 2017, she has started a business with colleagues working on recruitment and relocation, but left that project in May 2018 to graduate and to focus on another project. 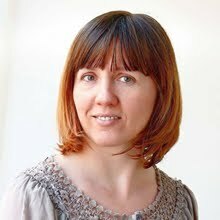 Mirjana has experience in preparing resumes, translating, tutoring, labor market analyzing, approaching to employers, etc.